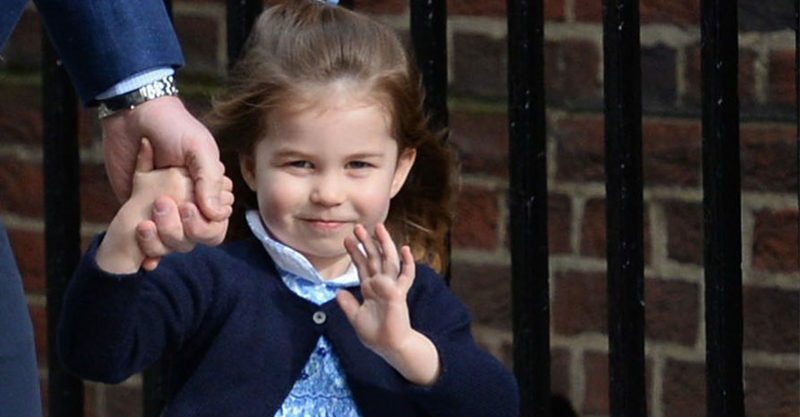 Who can get enough of Princess Charlotte? Clearly not us! This latest – albeit slightly distant – instalment of the Charlotte files sees the little princess farewelling her granny and grandpa (Duchess of Cornwall and Prince Charles) as they prepare to helicopter out of the grounds beside Kensington Palace. Journalist Elad Simchayoff was on the ground, filming Charles and Camilla as they prepared to depart. Lo and behold, in the background appears the little Princess. She’s picked up by a nanny and begins to furiously wave goodbye to her grandparents. It’s hard to see what their response was, as the helicopter obscures the view. We’d like to think they returned serve with an equally enthusiastic gesture. “Princess Charlotte waving goodbye to grandparents Prince Charles and Camilla after a visit to Kensington Palace,” Elad posted on Twitter, alongside the cute clip of the exchange. If you focus on the top left of the video, you can see her come into view and try to attract her granddad’s attention. Charlotte lives at Kensington Palace with her parents the Duke and Duchess of Cambridge – and her brothers, soon to be christened newborn Prince Louis and Prince George. 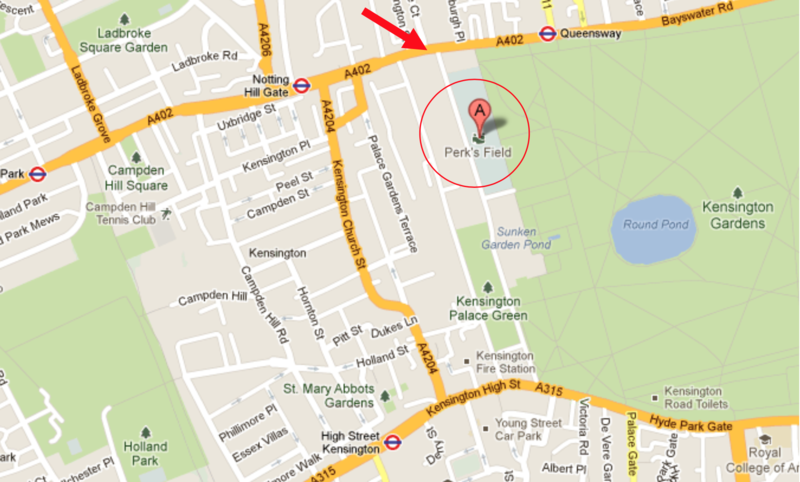 Home is Apartment 1A in a 20-bedroom house in Kensington Palace. “It’s split over four storeys and features a generous sitting room, large kitchen, three principal bedrooms with dressing rooms, three bathrooms and nursery accommodation. There are also staff quarters, with nine bedrooms, four bathrooms, two kitchens and two sitting rooms,” Hello Magazine reports. Charlotte’s dad – Prince William, who celebrated his 36th birthday last week – is away for work. He just toured Jordan and has now touched down in Israel as part of the first ever official visit by a senior member of the Royal Family. Charlotte’s mum – Duchess Kate – is no doubt settling into mum-of-three life, and making preparations for Prince Louis’ christening on Monday 9 July. She’s being supported by her own mum, Carole Middleton, as well as a couple of nannies and her usual staff. The little princess will whip out her now famous wave again when she sees Charles and Camilla at Louis’ christening. The event will be held at the Chapel Royal, St James’s Palace, London and is expected to attract family and friends of the baby prince. Interestingly, the helicopter often comes and goes from Kensington Gardens in Hyde Park – and visitors to the park apparently often spot the royals arriving. So know you know exactly where to spot the royal chopper – AND that Charlotte continues to be the best royal waver going around!